It’s no secret—when you look your best, you often feel your best as well. And sometimes when you age, you may not feel your best. As time goes on, certain areas of your face can experience wrinkles, age spots, lack of volume, fine lines, and more. These symptoms can potentially cause you to feel self-conscious and defeated, feelings that nobody wants to experience. So, how can you treat these affected areas? In our opinion, one of the most effective treatments for combatting aged skin is that of facial fillers. Facial fillers are a great way to target specific problem areas. They’re minimally invasive, produce quick results, and can help you get your self-confidence back. If you’re experiencing problem areas and are interested in facial fillers, you’re in the right place. This article will cover everything you need to know about this popular cosmetic treatment. From the basics to determining which facial filler is right for you, we’re sharing it all. Facial fillers, also known as dermal fillers, are injectables that reduce the appearance of facial lines and bring volume to the face. There are many different types of fillers on the market and each is tailored to address a specific cosmetic concern. What are the different types of facial fillers? Juvederm is an injectable gel that’s used to reduce the appearance of fine lines and wrinkles. The gel is made from hyaluronic acid, which is a natural substance found in your skin and muscles. 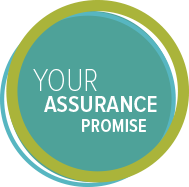 This means you can rest assured knowing the ingredients in Juvederm are safe, effective, and natural. Juvederm is commonly used to treat areas around your nose and mouth. It’s also very successful in treating nasolabial folds, or what many refer to as “smile lines.” These lines run from each side of your nose to the corners of your mouth. Allergan Volbella XC is also a member of the Juvederm family of products. It’s an FDA-approved injection that’s used to soften the appearance of lip lines, or what many refer to as “smoker’s lines” around the mouth. Allergan Volbella XC is intended to smooth lip lines, not increase lip fullness. While Juvederm is injected into the upper parts of the skin, Voluma is what we consider to be a “deep dermal filler.” Meaning, its formula is injected deep into your skin. Voluma is made up of hyaluronic acid, a natural substance, and is used in combination with collagen and elastin. Together, these ingredients form a thick gel, which works to give added volume and support to your skin. Sculptra works to combat lipoatrophy, which is when you lose the fat beneath your skin. This loss of fat can occur due to aging and can result in sunken cheeks, indentations, and hollowed eyes. Sculptra works to correct these signs of aging through an injectable by improving the appearance of folds and sunken areas. The results of Sculptra are long-lasting. However, these result are not as immediate as the results of other facial fillers. Deciding which facial filler is right for you is an important decision. Different types of fillers work to treat different areas, which is why we recommend consulting with a professional to determine which is best for your individual goals and needs. When consulting with the professionals at Arizona Dermatology, we’ll take the time to get to know you, your goals, and your limitations. We’ll also talk about past medical history, allergies, and what outcomes you’re looking to see. We bring up these topics so you feel comfortable with us and our treatments. We also do so to come up with a tailored plan that works best for you. To get started on determining which facial filler is right for you, simply set up a consultation appointment. Or, read on for some insight as to which facial filler may be right for you. Juvederm may be right for you if you’re experiencing moderate to severe lines, wrinkles, and folds in the middle area or your face, including your nose and mouth. It may also be right for you if you’re looking to add volume to your lips or remove acne scarring. Juvederm is typically associated with rapid results that last around 6-9 months. Meaning, it’s an effective solution, but not a permanent solution. If you’re looking for expedited results for an upcoming event, this type of filler may be best for you. However, keep in mind, you may need to receive a Juvederm injection every 6-9 months. Make sure you’re comfortable with the amount of maintenance associated with this treatment before deciding if it’s right for you. Is Allergan Volbella XC right for you? 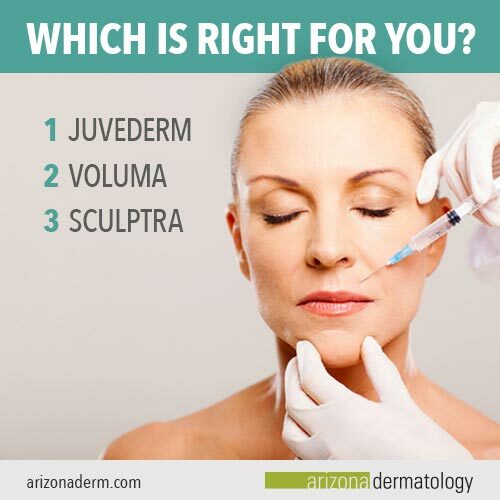 Before saying “yes” to Juvederm, make sure you’re selecting the right Juvederm product. Allergan Volbella XC, a product in the Juvederm family, may be right for you if you’re looking to soften the appearance of lip lines. However, if you’re looking for fuller, more luscious lips, Allergan Volbella XC is not for you. Allergan Volbella XC is intended to smooth lip lines, not increase lip fullness. Voluma has been found effective for many individuals, all with a varying level of symptoms. However, Voluma is found most effective if you’re experiencing deep lines, folds, and wrinkles or if you’ve lost volume in your face due to aging. After a Voluma treatment, you should expect to experience the results of the injectable for up to two years. The longevity of this filler is why it’s often recommended for those who are not comfortable with the upkeep or maintenance of a facial filler such as Juvederm. Is Sculptra right for you? Sculptra may be the best type of facial filler for you if you’re experiencing sunken areas on your face. These areas can include sunken cheekbones and hallowed eyes. Sculptra is extremely effective for treating these problem areas. However, if you’re looking to achieve instant results, Sculptra probably is not the right treatment for you. Sculptra offers a long term solution for up to two years, but requires a series of treatments to see change upon your skin. Keep this in mind when deliberating between which facial filler is right for you. Facial fillers can be very helpful for addressing different cosmetic concerns. However, they aren’t always the right solution for everyone. It’s important to do your research and consult with a trained professional to ensure you’re selecting the right treatment and right filler for your desired results. For more information, visit our facial filler service page or set up a consultation appointment at one of our seven locations across Arizona.